Last few days: Maria Taniguchi's "Untitled (Celestial Motors)"
Last few days! Catch the ongoing exhibition until 14 April, Saturday. It's the last few days to catch Maria Taniguchi's solo exhibition, Untitled (Celestial Motors), ongoing at Silverlens 20Square. Regular exhibition hours resume tomorrow and the exhibit runs until this 14 April 2012, Saturday. 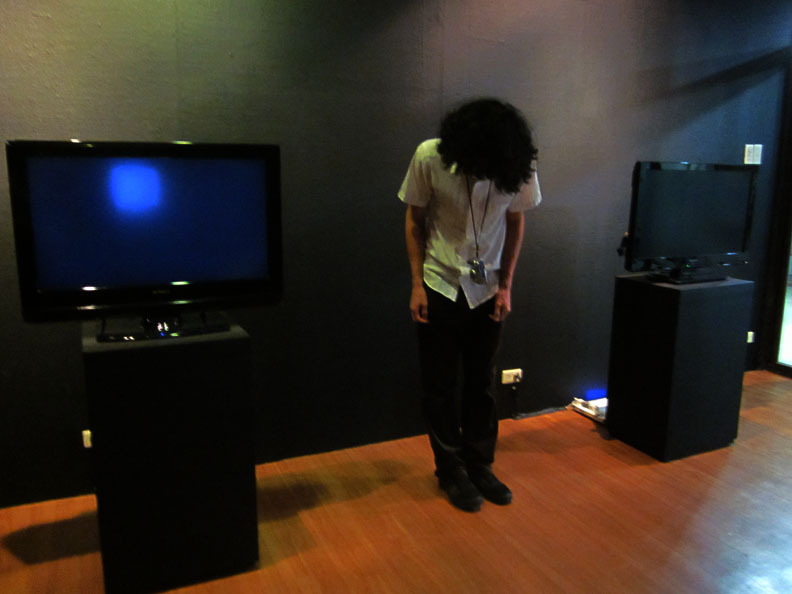 The exhibition is presented by End Frame Video Art Project 3: Present, the 2011-2012 Philippine video art festival, together with Silverlens 20Square. Untitled (Celestial Motors) features Taniguchi’s video of the Philippine jeepney, using one from the Celestial Motors factory in San Pablo. 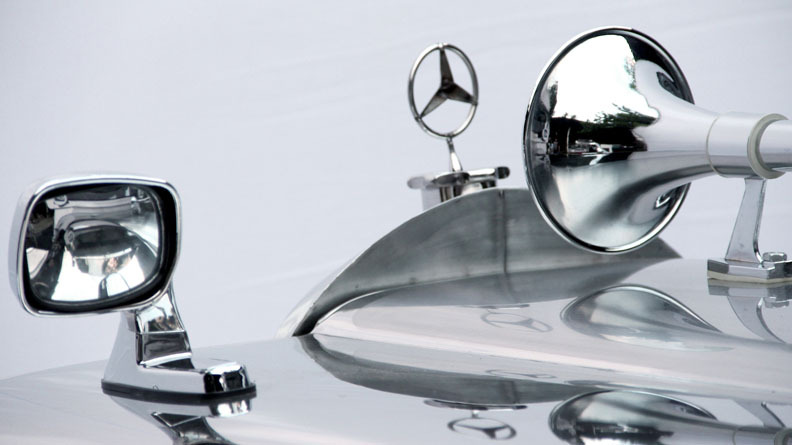 Focusing on an unadorned unpainted jeepney of stainless steel shot against a white backdrop, the video bares the jeepney as an object of study. 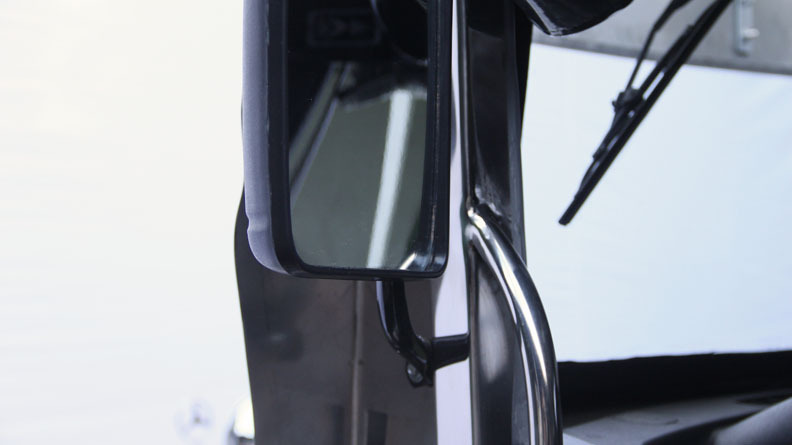 Through simple, crisp and startling takes showing the jeepney stripped into its basic form, the video distances from any specific context and instead acts as framework in accommodating the full weight of this iconic vehicle. Taniguchi’s Untitled (Celestial Motors) is the sixth offering of End Frame Video Art Project 3, a project of the non-profit organization Visual Pond. Throughout the Philippine video art festival, artists stage a solo show presenting new video work in various venues from 2011 to 2012. Curated by Clarissa Chikiamco, the theme of the third edition, Present, refers to the project’s focus on the current video art practices of selected Philippine contemporary artists. Taniguchi’s exhibition follows the End Frame 3 shows of Tad Ermitaño, Manny Montelibano, Chitz Ramirez, Kiri Dalena and Kaloy Olavides. End Frame 3 caps with an exhibition by Yason Banal later this year. Untitled (Celestial Motors) is made possible through the support of the LUX Associate Artists Program/Leverhulme Fund, London, UK. The show will be viewable on weekdays from 10 am to 7 pm, and Saturday, 1 to 6 pm. Silverlens 20Square is located on 2320 Pasong Tamo Extension, Yupangco Building 2, Makati City 1231. Call (632) 816.0044 or visit http://slab.silverlensphoto.com. For inquiries on Visual Pond projects and End Frame 3, visit http://www.visualpond.org or email visualpond@gmail.com. In other news, we'd like to endorse the international conference LOCUS REDUX: Speaking Across Contexts, Learnings and Negotiations in Writing and Teaching on Art, which will happen from 19-21 May 2012 at Yuchengco Museum in Makati. It is organized by Pananaw ng Sining Bayan, Inc, in partnership with Japan Foundation Manila Office, the Lopez Memorial Museum, the Kalaw-Ledesma Foundation, the Yuchengco Museum, Vargas Museum and Pinto Museum. Conference fee is Php 2,000.00 and registration has been extended until tomorrow. For more information, you may read about it here or contact Fanny San Pedro/Mary Ann Pernia of the Lopez Museum at (632) 631.2417 or via email through lmmpasig@gmail.com. Opening on Thurs, 15 March 2012, 6 pm. Exhibition runs until 14 April 2012. Conversations with the artist TBA. End Frame Video Art Project 3: Present, the 2011-2012 Philippine video art festival, together with Silverlens 20Square, presents Maria Taniguchi’s solo exhibition, Untitled (Celestial Motors). The show opens at Silverlens 20Square on 15 March 2012, Thursday, at 6 pm and runs until 14 April. Maria Taniguchi studied sculpture at the University of the Philippines and graduated with an MFA in Art Practice from Goldsmiths, London. She took part in the LUX Associate Artists Program and recently won the 2011 Ateneo Art Awards. Her practice considers information, juxtaposition and relationships of her subjects of study. She lives and works between London and Manila and will soon do a residency at Artspace Auckland in New Zealand. Taniguchi’s Untitled (Celestial Motors) is also the sixth offering of End Frame Video Art Project 3, a project of the non-profit organization Visual Pond. Throughout the Philippine video art festival, artists stage a solo show presenting new video work in various venues from 2011 to 2012. Curated by Clarissa Chikiamco, the theme of the third edition, Present, refers to the project’s focus on the current video art practices of selected Philippine contemporary artists. Taniguchi’s exhibition follows the End Frame 3 shows of Tad Ermitaño, Manny Montelibano, Chitz Ramirez, Kiri Dalena and Kaloy Olavides. End Frame 3 caps with an exhibition by Yason Banal later this year. Untitled (Celestial Motors) is made possible through the support of the LUX Associate Artists Program/Leverhulme Fund, London, UK. The show will be viewable throughout its run between Monday to Friday, 10 am to 7 pm, and Saturday, 1 to 6 pm. Silverlens 20Square is located on 2320 Pasong Tamo Extension, Makati. Call (632) 816.0044 or visit http://slab.silverlens.org. For inquiries on Visual Pond projects and End Frame 3, visit http://www.visualpond.org or email visualpond@gmail.com. 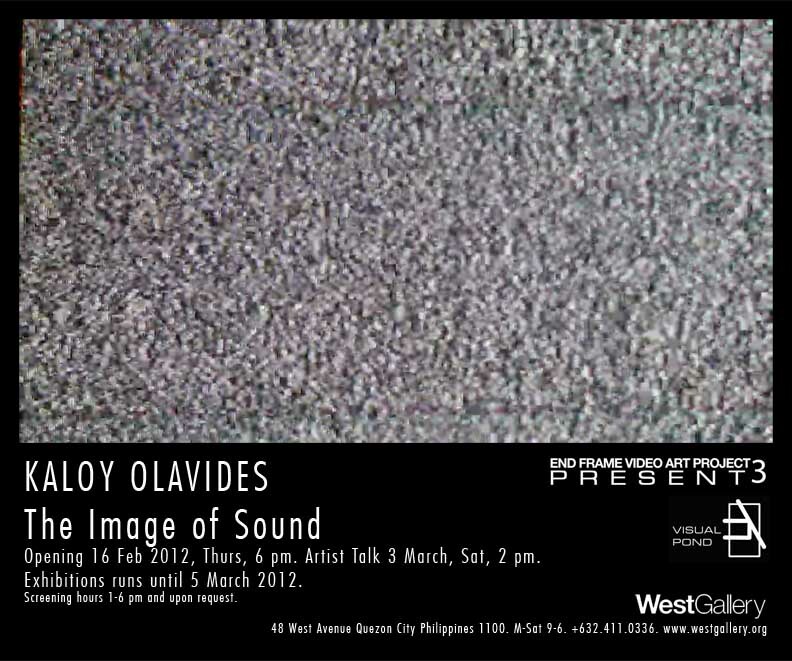 Please join us on 3 March 2012, Saturday, at 2 pm for the artist talk of THE IMAGE OF SOUND, the solo exhibition of Kaloy Olavides, ongoing at West Gallery. Olavides will be discussing his current exhibition and selected past works with the audience andEnd Frame 3 curator Clarissa Chikiamco. THE IMAGE OF SOUND is a project under End Frame Video Art Project 3: Present, a series of solo exhibitions of artists presenting new video work from 2011 to 2012. The theme of the third edition, ‘Present’, refers to the current project’s focus on the video art practices of selected Philippine contemporary artists. West Gallery, located at 48 West Avenue, Quezon City, Metro Manila, is open Monday to Saturday from 9 am to 6 pm. The exhibition screening hours run from 1 to 6 pm and upon request. The show runs until 5 March 2012. Contact West Gallery at (632) 411.0336. For inquiries on Visual Pond projects and End Frame 3, call Rica Estrada at +63917.8170198 or email visualpond@gmail.com with 'End Frame 3' as the subject line. Opening on 16 February 2012, 6 pm. Artist talk on 3 March 2012, 2 pm. Exhibition runs until 5 March 2012. The Image of Sound focuses on the significance of sound to video, which, as a moving image, has been more dominantly associated with visuals and the act of looking, seeing and watching. Yet, examining another sensory quality, Olavides’ exhibition centers on the medium’s aural experience, done through documentation of simple performative techniques. While forcing the audience to concentrate on sound, the show seemingly negates the importance of images. Yet, in its austerity, The Image of Sound points to the vitality and potency of both these elements in the recognition of how one informs the other. The show will be viewable throughout its run between Monday-Saturday, 1 pm to 6 pm, and also upon request. West Gallery is located on 48 West Avenue, Quezon City, telephone number (632) 411-0336 with website at http://www.westgallery.org. For inquiries on Visual Pond projects and End Frame 3, visit http://www.visualpond.org or call Rica Estrada at +63917-8170198 or email visualpond@gmail.com.